The British Film Institutes’s London Film Festival runs between 10th and 21st October this year. The 12 day festival will showcase 255 features from 77 countries, in 14 cinemas. Of the 225 features, 5 hail from South Korea. Here are all of the Korean films you can see during the BFI LFF. All film summaries are taken directly from the BFI Website. Oldboy meets The Usual Suspects in this hall-of-mirrors thriller, as a dogged South Korean narcotics officer tries to smoke out a shadowy drug baron. Attempting to remake a modern classic should never be advised, but Lee Hae-young’s razor-sharp reinvention of Johnnie To’s superb 2012 thriller Drug War is an exception to the rule. It starts with a narcotics cop Won-ho (Cho Jin-woong) meeting a teenage junkie to find out more about an elusive drugs kingpin named Mr Lee. The girl is abducted before he can gather any concrete information, but a subsequent explosion at a meth lab brings him into contact with Rak (Ryu Jun-yeol), a low-level runner whom Won-ho believes will introduce him to Mr Lee’s inner circle. Following the tough terrain of To’s original bullet opera, but adding some inspired psychological levels, director Lee’s film also profits from the performances of his two superb leads, who keep us guessing as to how their mind games will play out. Lee Chang-dong (Poetry) wowed Cannes with this spellbinding, richly complex thriller about obsession, class conflict and suppressed male rage. Jongsu’s (Yoo Ah-in) unremarkable day-to-day life is pleasantly disrupted when a chance meeting with quirky childhood friend Haemi (Jeon Jong-seo) sparks a promise of romance. Soon to depart on a trip to Africa, Haemi asks Jongsu to cat-sit, which he dutifully does, even though the animal remains stubbornly elusive (does it even exist?). Anticipating their reunion, Jongsu is surprised at the airport to find Haemi arriving with the charismatic Ben (Steven Yeun), whom she met on the trip. No match for the poised and obviously wealthy Ben, Jongsu’s jealousy at the shift in Haemi’s affections builds over subsequent weeks. Based on a Haruki Murakami short story, screenwriter Oh Jung-Mi and Lee have fashioned a lean slow-burner: gripping, elliptical and intriguingly ambiguous. Pitch-perfect performances from the three leads are intimately captured by cinematographer Hong Kyung-Pyo, his camera also revelling in the visual poetry of every environment. With a missing girl, a mysterious cat, an arsonist and a possible murder, director Lee expertly controls the tension until the breathtaking, explosive finale. Writer-director Shin Dong-seok delivers a devastating debut, an emotionally wrenching family drama that heralds a serious new voice in cinema. That their teenage son died heroically saving a classmate from drowning offers little comfort to Sungcheol and Misook. Sungcheol focuses on his work as a decorator to deal with his grief, while Misook only feels alive when ruminating on her feelings for the dead boy. When Sungcheol learns that Kihyun, the schoolboy who survived the accident, is being bullied, he feels compelled to step in and give the lad a chance by teaching him a trade. But young Kihyun is not everything that he seems. Balancing tender yet unsentimental drama with thorny dilemmas, writer-director Shin Dong-seok perceptively explores working-class life and the emotional terrain of the masculine psyche, while the tone recalls Ibsen as it builds towards a gripping finale. A young woman jettisons city life for a rural existence, producing a lot of mouthwatering food along the way in this charming take on the quarter-life crisis. When independent Hye-won (Kim Tae-ri, The Handmaiden, LFF 2016) returns from Seoul to her childhood home after a break-up, she hopes to live incognito. But nothing stays secret in the sticks. Before long, her sassy friend and the only eligible boy in the village pop round for meals. And what meals! Recalling the recipes learned from her currently absent mother (Moon So-ri), Hye-won finds her dishes and feelings evolving with the changing seasons. Based on a Japanese manga, Little Forest has been a smash hit with South Korea’s millennial female audience. Thoughtfully considering the healing nature of food and the role it plays in all our relationships, Yim Soon-rye’s film elegantly explores mother-daughter dynamics and the journey towards becoming your own person. How was a South Korean spy, codenamed ‘Black Venus’, able to ingratiate himself with the highest ranks of the DPRK, including Kim Jong-il himself? Anyone looking for a little background into the tense relationship between North and South Korea will find this enthralling spy thriller both gripping and revealing. Hwang Jung-min (star of The Wailing, LFF 2016) plays Park Suk-young, a secret service agent sent on a mission in the mid-1990s to discover the truth about the North Korean leader’s nuclear arms agenda. Park’s method is the long game: appearing to drop out of the service, becoming an alcoholic and gambler, then reinventing himself as a teetotal businessman looking at trade links between the two countries. There are more than a few shades of John le Carré in what happens next, as Park’s superbly fashioned alter ego reels in his opposition in a furtive game of cat and mouse. 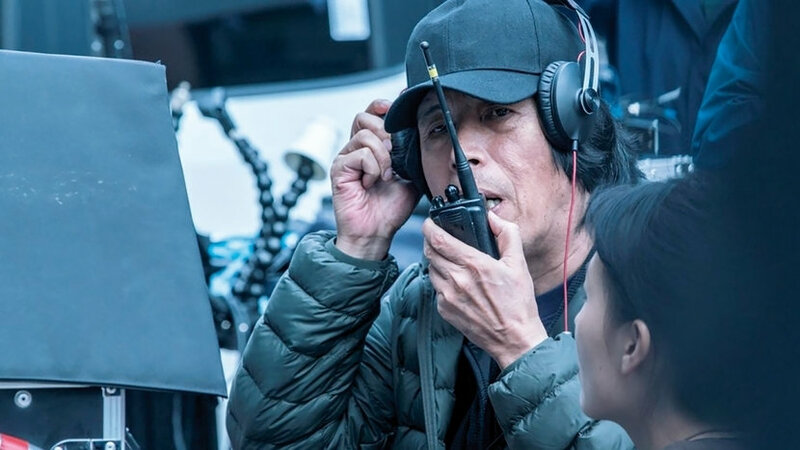 We’re delighted to welcome Lee Chang-dong to the BFI London Film Festival, to talk about his career and the making of Burning, his keenly anticipated mystery thriller adaptation of a short story by Haruki Murakami. Having established himself as a successful novelist and screenwriter before turning to direction, Lee quickly earned a reputation at home and abroad as one of South Korea’s most talented filmmakers. A master of intensely emotional human dramas, he attracted immediate acclaim with 1997’s feature debut Green Fish, an incisive critique of Korean society told from the perspective of a young man who is tragically ensnared by the criminal underworld. He followed it with the ingenious reverse chronology of Peppermint Candy (1999), offering a powerful socio-political allegory for key events in the nation’s history. After 2002’s refreshingly frank love story Oasis, Lee took a five-year break from filmmaking to become his country’s Minister of Culture. He made a stirring comeback with Secret Sunshine, an unpredictable work examining grief and deliverance, which was followed by 2010’s internationally successful Poetry, a profound meditation on the nature of life, death and memories. Tickets for all films and events go on sale on Thursday 13th September at 10am. Members of BFI will be able to access pre-sale tickets.